Retail price at 125USD/ RM520 !!! The Avant Garde 2 has an even more radical shape than the original! The original Avant Garde's shape caused quite a stir, and now the new Avant Garde 2 is set to do it all over again, with a major shape change and a slightly wider body than before. The rim has been broken into a double step, with a massive moat gouged out of it. The sides of the rim are polished to a high shine, making them stand out even more than before. The rims have been narrowed, increasing the ease of control. With the weight distribution so finely tuned, it's hard to feel the true heft of the yo-yo, which makes it easier to play longer. Just like the original, the Avant Garde 2 plays far smoother than you might expect at first glance. 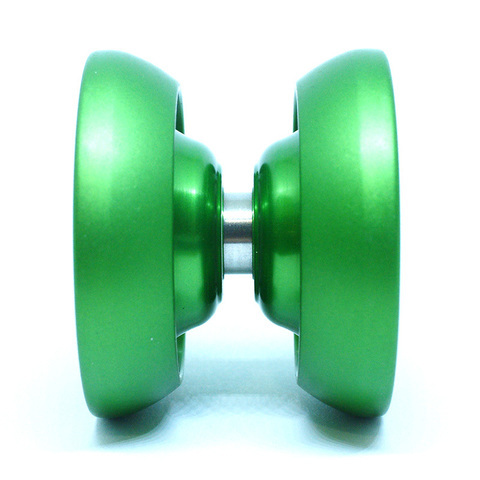 If you're looking for a unique yo-yo that will make you stand out in a crowd (and not in a bad way), you won't regret checking out the Avant Garde.